This week’s notable decision is an unreported district court decision that we found noteworthy because of the number of times the court gave the insurer to bite at the figurative administrative apple. In Mead v. Reliastar Life Ins. Co., No. 2:05-CV-332, 2015 WL 4203956 (D. Vt. July 10, 2015), the court found that Defendant’s denial of “any occupation” benefits was not adequately supported by substantial evidence and the court remanded the case to the plan administrator to conduct a more thorough analysis. This case has been litigated over approximately ten years, including two prior remands to the plan administrator: first for a more complete explanation of the substantial evidence supporting the denial of benefits, and again because the denial of “own occupation” benefits was an abuse of discretion. Justice delayed is justice denied. Are remands even constitutional when Article 3 of the U.S. Constitution requires that federal courts issue final decrees of conclusive character? Chew on that for a moment….and while you do so, enjoy this week’s case summaries! Following remand and Dudenhoeffer, court again dismisses consolidated action against ESOP fiduciaries for alleged imprudent investments in Lehman stock. In In re Lehman Bros. Sec. & ERISA Litig., No. 09-MD-2017 LAK, __F.Supp.3d___, 2015 WL 4139978 (S.D.N.Y. July 10, 2015), following remand by the Supreme Court in light of Dudenhoeffer, the court considered Plaintiffs Third Consolidated Amended Complaint (“TCAC”). Count I alleged that the Plan Committee Defendants knew or should have known, based on public information, that investment in Lehman had become increasingly risky throughout 2008 and that these defendants breached their fiduciary duty by failing to consider the prudence of continuing to invest in Lehman during this period. Count II alleged that there were “special circumstances affecting the reliability of the market price of Lehman stock as an unbiased assessment of Lehman’s value.” This included orders issued by the Securities and Exchange Commission (“SEC”) in July 2008 that prohibited short selling the securities of certain large financial services firms, including Lehman. Plaintiffs asserted two alternative claims. Count III alleged that the Plan Committee Defendants breached their fiduciary duties by failing to investigate nonpublic information regarding the risks facing Lehman. Plaintiffs argued that they would have uncovered nonpublic information revealing the imprudence of continuing to invest in the company. Count IV claims that defendant Fuld inadequately monitored the Plan Committee Defendants and possessed nonpublic information about the risks facing Lehman and breached an alleged duty to share it with the Plan Committee Defendants. The court dismissed Counts I and II, finding that they fail to allege plausibly that the Plan Committee Defendants breached their duty of prudence based on public information. Notwithstanding the July 2008 SEC orders, the court found that the TCAC did not allege facts or circumstances sufficient to have alerted the Plan Committee Defendants that Lehman was an imprudent investment. 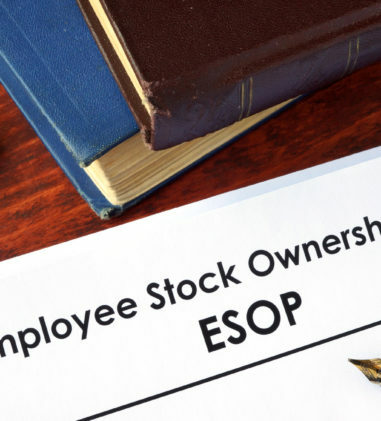 With respect to Count III, the court questioned how it should evaluate claims about whether an ESOP fiduciary’s actions would have caused “more harm than good” to ESOP participants, noting that at least one court has adopted the view that this question ought to be a matter for expert proof and is inappropriate for disposition on a motion to dismiss. The court expressed skepticism that terminating the Plan as an investment option or disclosing the alleged inside information would have helped the Plan more than hurt it, but concluded that it need not resolve the question of how to assess such claims on a Rule 12(b)(6) motion since it found the basis for Plaintiffs’ duty to investigate claim to be insufficient. Lastly, with respect to Count IV, the court found that the duty to monitor claim against Fuld fails because the TCAC failed to allege plausibly any primary breach of fiduciary duty on the part of the Plan Committee Defendants and allege a plausible duty to monitor claim in the absence of a breach of fiduciary duty. As such, the court found that Plaintiffs’ separate claim that Fuld violated a fiduciary duty to provide the Plan Committee Defendants with nonpublic information fails as a matter of law. Plan participant has no standing to seek monetary relief and disgorgement of profits against breaching fiduciary where Plaintiff suffered no individual harm. In Perelman v. Perelman, No. 14-1663, __F.3d___, 2015 WL 4174537 (3d Cir. July 13, 2015), Plaintiff, a plan participant, brought suit against his employer, pension plan administrator, and plan trustee, alleging that plan administrator breached his fiduciary duties by investing plan assets in the trustee’s brother’s company, and failing to disclose investments as party-in-interest transactions. In affirming the decision of the district court, the Third Circuit held that Plaintiff lacked standing to seek monetary relief and disgorgement of profits, and the district court did not abuse its discretion by declining to award attorneys’ fees. The Third Circuit found that Plaintiff did not have constitutional standing because he did not suffer injury-in-fact since the plan was appropriately funded. 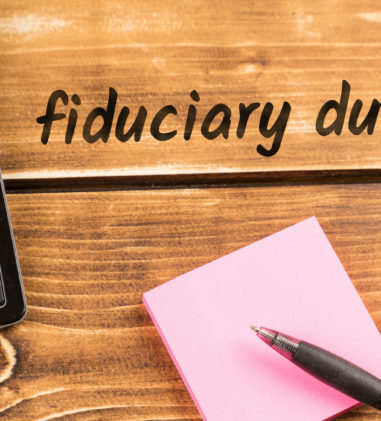 Plaintiff did not have standing to seek disgorgement of profits based on the fiduciary’s failure to report party-in-interest transactions since he could not show an individual right to the fiduciary’s profit. The court rejected Plaintiff’s argument that he need not prove an individualized injury insofar as he seeks monetary equitable remedies in a “derivative” or “representative” capacity on behalf of the Plan. With respect to fees, the court disagreed with the district court that Plaintiff did not achieve a level of substantive success. After the filing of the lawsuit, an independent trustee was appointed, some Plan losses were reimbursed, Plan records were amended to reflect party-in-interest transactions, and trustee-indemnification provisions were modified or removed. These changes were made to “get rid of this case.” Although these victories were substantive, the district court nonetheless did not abuse its discretion in declining to award fees after considering the Ursic factors: (1) the offending parties’ culpability or bad faith; (2) the ability of the offending parties to satisfy an award of attorneys’ fees; (3) the deterrent effect of an award of attorneys’ fees against the offending parties; (4) the benefit conferred on members of the pension plan as a whole; and (5) the relative merits of the parties’ positions. Defendant must make Rule 26(a) initial disclosures in denial-of-benefits matter. In Bruce v. Anthem Ins. Companies, Inc., No. 3:15-CV-0353-D-BK, __F.R.D.___, 2015 WL 4127337 (N.D. Tex. July 6, 2015), an ERISA action involving a denial of health benefits, the court overruled Defendants’ objections to making initial disclosures required by Rule 26(a)(1), rejecting Defendants’ argument that the court’s review is limited to the administrative record and it is “exempt from initial disclosures” under Rule 26(a)(l)(B)(i). The court found that Defendants did not proffer any specific reasons why the initial disclosures would be inappropriate under the facts and circumstances of this case, especially where there is no blanket prohibition against discovery in actions under 29 U.S.C. § 1132(a)(1)(B). Because the court must determine whether the administrator abused its decision, some evidence other than that contained in the record may be relevant to judicial review. Cost of medical insurance for employee with multiple sclerosis was not a motivating factor in her termination. In Giles v. Transit Employees Fed. Credit Union, No. 14-7055, __F.3d___, 2015 WL 4217787 (D.C. Cir. July 14, 2015), the D.C. Circuit held that the cost of insuring Plaintiff, who suffered from multiple sclerosis, was not a motivating factor in the employer’s termination decision, and affirmed summary judgment in favor of the employer on Plaintiff’s ADA, DCHRA, and ERISA § 510 claims. The thrust of Plaintiff’s claims is that the cost of treating her MS was causing the monthly premium for the Blue Preferred Option 1 plan to rise and that TEFCU dismissed her to reduce its health care costs. The court found that TEFCU asserted a legitimate, non-discriminatory reason for terminating Plaintiff: she was a poor employee. Although Plaintiff had an overall high rating, testimony from her supervisors showed that she performed record maintenance duties associated with her scanning specialist position inadequately. The court found that no reasonable jury could conclude the real reason for her discharge was that TEFCU believed her medical expenses were driving up the insurance premium. There was no evidence Plaintiff’s insurance claims had any effect on the premium or that her supervisors thought they did or could. Thus, the court concluded that the record does not permit an inference that the cost of insuring Plaintiff was a motivating factor in the decision to terminate her. In DeKalb Med. Ctr., Inc. v. Specialties & Paper Products Union No. 527 Health & Welfare Fund, No. 1:13-CV-343-TWT, 2015 WL 4231774 (N.D. Ga. July 13, 2015), Plaintiff sought attorneys’ fees and costs after Plaintiff prevailed on its claim for reimbursement from the Fund for medical services it provided to one of its plan participants. The court found that Plaintiff is entitled to $219,738.65 in attorneys’ fees and $4,091.97 in litigation costs, for a total of $223,830.62. This amount represents about a 5% reduction from the total amount Plaintiff requested. In Tonguette v. Sun Life & Health Ins. Co. (U.S.), No. 2:12-CV-00006, 2015 WL 4133238 (S.D. Ohio July 8, 2015), Plaintiff prevailed on her claim for death benefits at the Sixth Circuit Court of Appeals after the district court ruled against her. Plaintiff was the beneficiary of an insured who died during the extended conversion period without having converted the policy into an individual policy. The court found that despite Plaintiff’s achievement of success on the merits, consideration of the five factors did not lead it to conclude that a fee award under § 1132(g)(1) is appropriate. In Computer & Eng’g Servs., Inc. v. Blue Cross & Blue Shield of Michigan, No. 12-CV-15611, 2015 WL 4207150 (E.D. Mich. July 10, 2015), the court dismissed BCBSM’s counterclaims seeking contribution and indemnification from Plaintiffs. The court followed the weight of authority finding that there is no right of contribution among ERISA co-fiduciaries so the contribution claim is not a viable legal theory. Alternatively, even if Defendant could seek contribution from a co-fiduciary, BCBSM would not be entitled to contribution from Plaintiffs in the present case since BCBSM acted in “bad faith” with regard to the disputed fees. Claimant loses. In Oliver v. Aetna Life Ins. Co., No. 14-15259, __Fed.Appx.___, 2015 WL 4153628 (11th Cir. July 10, 2015), the court found that Aetna’s denial of “any occupation” long-term disability benefits to Plaintiff was not de novo wrong. Plaintiff worked as a courier for FedEx and became impaired by a combination of longstanding back and knee problems and an on-the-job injury. Aetna had Plaintiff’s claim reviewed by an orthopedic surgeon, Dr. Lawrence Blumberg, who found that Plaintiff could engage in some compensable employment for a minimum of 25 hours per week. Another orthopedic surgeon hired by Aetna, Dr. Martin Mendelssohn, agreed with Dr. Blumberg’s conclusion. The court rejected Plaintiff’s argument that judicial estoppel operates to require Aetna to follow the SSA’s determination that Plaintiff is totally disabled. The court explained that based on precedent and the “manifestly different criteria of the SSA and the Plan,” Plaintiff cannot simply rely on the determination by SSA in challenging Aetna’s denial of benefits. Claimant loses. In Lohr v. UnitedHealth Grp. Inc., No. 1:12CV718, 2015 WL 4210830 (M.D.N.C. July 10, 2015), the court determined that United’s decisions that Plaintiff was not disabled earlier than June 30, 2011, and that, as of that date, her disability coverage had expired were reasonable and no basis exists to conclude that United abused its discretion in denying Plaintiff’s claims for STD benefits, and consequently for LTD benefits. Plaintiff’s impairment was the result of depression and anxiety. Sedgwick, the TPA, had Plaintiff’s claim “independently” reviewed by Reginald Givens, M.D. (board certified in psychiatry and neurology), who determined that the medical information only supports an inability to perform occupational duties starting from June 30, 2011, the date Plaintiff saw her psychiatrist for treatment. Claimant sort of wins! In Mead v. Reliastar Life Ins. Co., No. 2:05-CV-332, 2015 WL 4203956 (D. Vt. July 10, 2015) (Not Reported in F.Supp.3d), the court found that Defendant’s denial of “any occupation” benefits was not adequately supported by substantial evidence and the court remanded the case to the plan administrator to conduct a more thorough analysis to give credence to Plaintiff’s subjective statements of pain, to contrary medical reviews, and to the court’s previous findings about Plaintiff’s limitations. Notably, with respect to the standard of review, the court found that it was reasonable to view the SPD with discretionary language as part of the Plan itself. The SPD is in the final section of a document entitled “Long Term Disability Plan,” and is included the document’s table of contents. The SPD contains a detailed description of claim procedures, a statement of ERISA rights, and Defendant’s final discretionary authority, which are not provided elsewhere in the Plan. The court found that the fact that the SPD and the Long Term Disability Plan are in a single document, with some critical information provided exclusively in the SPD, supports ReliaStar’s assertion that the SPD is a part of the Plan. The court distinguished Amara, finding that the SPD complements, rather than conflicts with, other information in the Plan and is bound as part of the Plan documents. Claimant wins! In Doe v. Unum Life Ins. Co. of Am., No. 12-CV-9327 LAK, 2015 WL 4139694 (S.D.N.Y. July 9, 2015), where Plaintiff, a litigation partner, who claimed disability due to depression, OCD, ADHD, and OCPD, exacerbated by his wife’s medical problems, had his long-term disability claim denied by Unum. On de novo review (stipulated by the parties), the court found that Plaintiff was entitled to benefits notwithstanding negative reviews conducted by F. William Black, Ph.D. (a medical consultant for Unum specializing in neuropsychology), Nicholas B. Kletti, M.D., (a medical consultant for Unum and board certified in psychiatry), and Keith A. Caruso, M.D., (a medical consultant for Unum and board certified in psychiatry). The court rejected Unum’s contention that Plaintiff’s highly successful legal career undercuts his diagnoses because these illnesses typically begin in adolescence or early adulthood. The court credited Plaintiff’s doctor’s opinion that his conditions likely have been lifelong but remained latent until his debilitating symptoms emerged in 2010. The court also rejected Unum’s criticism of Plaintiff’s doctor for providing a summary of treatment rather than his complete office visit notes, where Unum agreed to accept a summary of care letter in lieu of original medical records. The court also found there was more than sufficient documentation from Plaintiff’s doctor to credit his medical opinion. 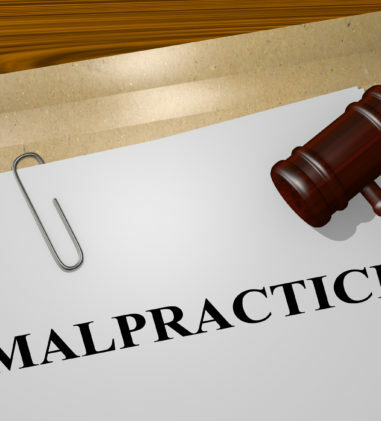 Lastly, the court rejected Unum’s reviewers’ claims that neuropsychological testing suggested that Plaintiff was exaggerating his symptoms or possibly malingering. Other doctors concluded that the results reflected psychopathologically significant findings rather than malingering. Claimant Loses. In Dukes v. Liberty Life Assur. Co. of Boston, No. 14-CV-00806, 2015 WL 4132975 (D.N.J. 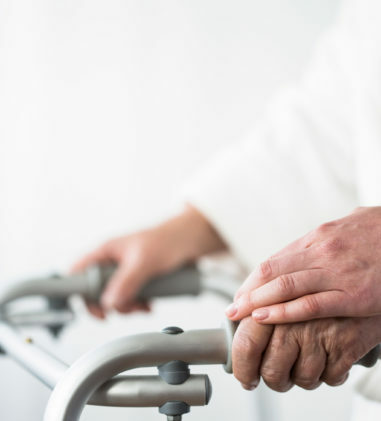 July 7, 2015), the court found that Liberty’s termination of “own occupation” LTD benefits for a former Wells Fargo Service Manager impaired by degenerative disc disease and multilevel facet arthropathy was not arbitrary and capricious. Liberty relied on a pure paper medical review conducted by Raymond J. Chagnon, M.D. 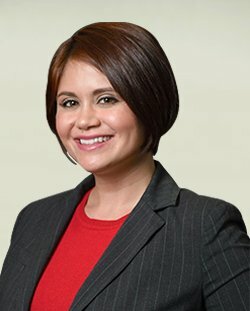 to deny Plaintiff’s claim and a paper review by Dr. Jamie L. Lewis to uphold the denial on appeal. Claimant loses. In Kennard v. Means Indus., Inc., No. 11-CV-15079, 2015 WL 4094611 (E.D. Mich. July 7, 2015), the Sixth Circuit had issued an opinion reversing the district court’s decision because it found that Plaintiff was completely disabled within the meaning of the Plan and that no jobs existed which he was able to perform. Plaintiff had suffered a severe injury to his lungs when he was exposed to an improperly mixed batch of synthetic oil. The Sixth Circuit remanded the case “with instructions to award Kennard disability benefits, retroactive to the date they accrued under the Plan, and to consider his request for attorney fees and costs under 29 U.S.C. § 1132(g) (1).” On remand, the district court entered judgment in favor of Plaintiff, consistent with the Sixth Circuit’s mandate and remanded the case to the plan administrator for a calculation of the benefits owed Plaintiff, retroactive to the date they accrued. On remand, the plan administrator determined that even if Plaintiff was disabled, the workers’ compensation coordination provision in the plan applied to Plaintiff, resulting in a complete set-off to any disability benefits. 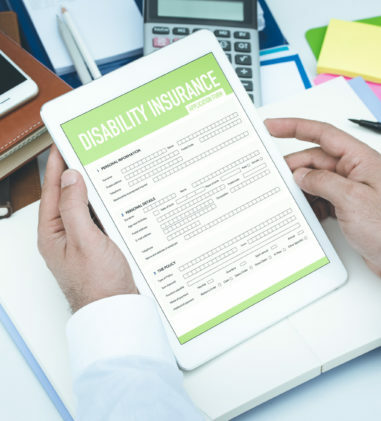 The plan administrator found that Plaintiff was not entitled to a disability benefit in addition to the workers’ compensation benefit. The Sixth Circuit subsequently denied Plaintiff’s petition for mandamus, finding that Defendant had not waived the workers’ compensation coordination provision by denying benefits based on its conclusion that Plaintiff was not disabled. The district court denied Plaintiff relief from its order remanding the claim to the plan administrator and found that Defendant’s interpretation of the coordination provision was not arbitrary and capricious. In Liyan He v. Cigna Life Ins. Co. of New York, No. 14 CIV. 2180 AT GWG, 2015 WL 4114523 (S.D.N.Y. July 8, 2015), the court granted Cigna’s motion for a protective order, which requires Plaintiff to maintain the confidentiality of sections of Cigna’s Policies and Procedures manual (the “P & P”) produced in this action. Cigna submitted a sworn declaration of Richard M. Lodi, Cigna’s Senior Operations Representative Cigna, to support its argument that the P & P is not publicly available and it would be valuable to Cigna’s competitors, because it would give them information that they could not otherwise obtain. Although Cigna previously disclosed ten sections of the P & P to other claimants, the court was satisfied that the statements from Lodi show that Cigna takes reasonable steps to maintain the confidentiality of the P & P and that competitive harm would result from its disclosure. The court noted that the protective order requires that the materials be used only for this litigation and not for “attorney’s eyes only” treatment or other arrangements that would significantly restrict Plaintiff’s counsel’s conduct of this litigation. In Emigh v. W. Calcasieu Cameron Hosp., No. 2:14-CV-02808, 2015 WL 4209230 (W.D. La. July 10, 2015), the court determined Plaintiffs’ claims are not completely preempted under ERISA and remanded the matter to state court. The court found that Plaintiffs’ claims will not require the court to interpret an ERISA plan to determine whether Plaintiffs’ were wrongfully denied coverage or whether the administration of a claim was improper since Plaintiffs’ primary complaint involves WCCH’s violations of the Balance-Billing Act. Further, the secondary argument that the employer-sponsors and third-party administrators are liable for WCCH’s actions does not convert this suit into an ERISA case because in seeking to impose solidary liability, Plaintiffs are not relying on ERISA or the particular terms of an ERISA plan. In James v. Life Ins. Co. of N. Am., No. CIV.A. H-12-2095, 2015 WL 4126580 (S.D. Tex. July 8, 2015), the court granted summary judgment in favor of Plaintiff in this matter involving a denial of AD&D benefits. LINA denied benefits because the decedent had been driving with a blood alcohol concentration of .19% (more than two times above the legal limit in the Commonwealth of Virginia) when he died as a result of “inhalation of combustion products and thermal injury” after his car collided with a tree and caught fire. The policy’s AD&D benefits were triggered when “the Covered Person suffer[ed] a Covered Loss resulting directly and independently of all other causes from a Covered Accident ….” A “Covered Accident” was defined as a “sudden, unforeseeable, external event that results, directly and independently of all other causes, in a Covered Injury or a Covered Loss.” LINA found that the crash was not “unforeseen” as required by the policy, because the insured was driving under the influence and studies have shown that individuals with BACs between 0.11 and 0.20 percent suffer serious physical impairments including slowed reaction time and gross motor control. LINA concluded that serious injury or death would be highly likely to occur while operating a vehicle with a BAC of .19% and would not be an unforeseen event. The court disagreed that the accident was foreseeable or highly likely where statistics that compared the amount of alcohol impaired trips that were taken to the amount of people who died showed less than a one percent chance of death. In The Claudia Nelson Family Trust v. Hartford Life & Accident Ins. Co., No. 14-CV-2092-WJM-KLM, 2015 WL 4113764 (D. Colo. July 8, 2015) (Not Reported in F.Supp.3d), the court held that Hartford did not exercise its discretion arbitrarily or capriciously by interpreting “regularly scheduled vacation day” to exclude individuals on medical leave and thus finding that the participant did not meet the supplemental life insurance policy definition of “Actively at Work.” Because the Plaintiff Trust did not establish an unbroken chain of regularly scheduled vacation days or holidays (i.e., non-medical leave days) from September 7, 2012, until January 1, 2013, the court upheld Hartford’s denial of supplemental life benefits. In O’Shea v. UPS Ret. Plan, No. CIV.A. 14-10377-WGY, 2015 WL 4205307 (D. Mass. 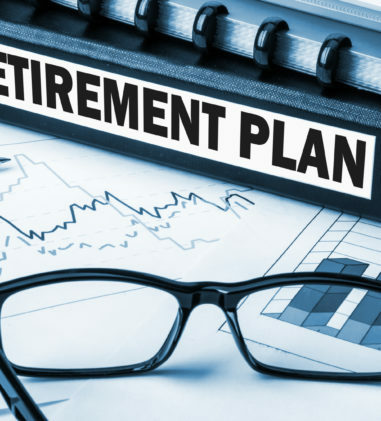 July 10, 2015), the court found that the Plan’s determination to deny a participant’s children any benefits from the retirement plan was not an abuse of discretion. O’Shea worked as a UPS employee for nearly four decades. After falling ill, he elected to retire and chose a retirement plan that would guarantee monthly payments to his children for ten years. Unfortunately, he died just one week before the date on which his retirement annuity was slated to start. Under the terms of UPS’s retirement plan, because O’Shea was not actually retired at the time of his death, the court agreed with UPS that his children are not entitled to benefits. In Dresel v. Pension Plan of Pac. Nw. Labs., No. C14-1665 MJP, 2015 WL 4164827 (W.D. Wash. July 9, 2015), the court determined that it was an abuse of discretion for Defendant to deny Plaintiff’s request for Early Retirement Benefits following attainment of his Early Retirement Date. Defendant argued that because Plaintiff never returned to active employment following the commencement of his leave of absence, he was “terminated” from employment, and thus his failure to reach age 55 while still actively employed disqualifies him from the early retirement benefit. The court found that the Plan nowhere defines what constitutes “termination” or under what circumstances (other than the obvious situation of being fired from the job) an employee is considered “terminated.” Further, it does not matter, for purposes of determining eligibility for early retirement benefits, when Plaintiff was terminated. 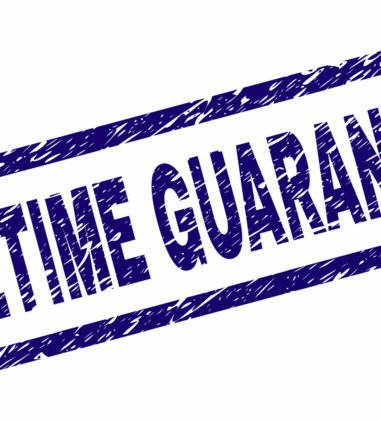 The provision regarding Early Retirement Age contains no requirement of active employment. In Tussey v. ABB Inc., No. 2:06-CV-04305-NKL, 2015 WL 4159983 (W.D. Mo. July 9, 2015), on remand from the Eighth Circuit, the court determined that the ABB Defendants did abuse their discretion when they removed the Vanguard Wellington Fund from the PRISM Plan and mapped its assets into the Fidelity Freedom Funds. The court found that a non-conflicted fiduciary could have chosen the Freedom Funds since although all target funds carry high fees, they were becoming popular in 2000 and there were not many target funds to choose from. It would not be unreasonable for a fiduciary to make an exception to the rule that a sustained track record was needed to at least put the investment on the platform. However, the removal of the Wellington Fund from the PRISM platform and the mapping of its assets to the Freedom Funds was an abuse of discretion because it was motivated in large part to benefit Fidelity Trust and ABB, not the Plan participants. With respect to damages, the court explained that even if the performance of the alternative target fund that had the highest rate of return would be the proper measure of damages, Plaintiffs presented no evidence of what that figure would be. Therefore, the court found that Plaintiffs failed to satisfy their burden of proof on the issue of damages. In Knowlton v. Anheuser Busch Co., LLC, No. 4:13-CV-210 SNLJ, 2015 WL 4131817 (E.D. Mo. July 8, 2015), the court granted partial judgment on the pleadings to Plaintiff class members – former employees of Busch Entertainment Corporation (“BEC”), a member of the “Controlled Group” of Anheuser-Busch Companies, LLC (“ABC”) – in this matter where they were denied certain enhanced retirement benefits. Following reasoning from a Sixth Circuit decision based on the same plan language, the court determined that there is no need to go beyond the words of the Plan to decide Plaintiffs’ motion. Section 19.11(f) states that individuals “whose employment with the Controlled Group is involuntarily terminated within three (3) years after the Change in Control” would be entitled to certain enhanced benefits. The court found that when each term in the provision is understood according to its ordinary meaning, and no term is ignored, eligibility for enhanced pension benefits requires satisfaction of five elements: (1) that the recipient be a plan participant (2) whose employment with the Controlled Group (3) is involuntarily terminated (4) within three years after (5) a change in control. The court found that the phrase is unambiguous and has only one plausible interpretation: the individual’s employment with the Controlled Group must be involuntarily terminated. A job loss or some otherwise undefined period of unemployment is not required. As such, the court concluded that there is no reason for the court to wait until the full “administrative record” is before it because to look beyond the words of Section 19.11(f) itself would be improper. In Sandefur v. Iron Workers St. Louis Dist. Council Pension Fund, No. 3:14-CV-00175-RLY, 2015 WL 4232490 (S.D. Ind. July 13, 2015), Plaintiff alleged that Defendant violated ERISA and committed fraud when Iron Workers refused to provide her with retirement benefits. Iron Workers moved to dismiss the Complaint for failure to state a cause of action upon which relief can be granted pursuant to Federal Rule of Civil Procedure 12(b)(6). With respect to the ERISA claims, the court found that Defendant waived its Rule 8 challenge by not raising it until the reply brief. 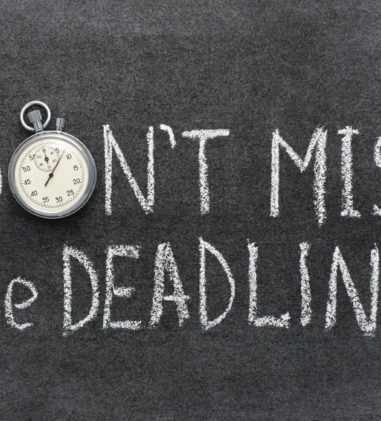 The court also found that the claim based on breach of fiduciary duty was not time barred under ERISA because even though Plaintiff became aware of the denial in 2006 and did not file suit until 2013, a participant’s cause of action does not accrue until the plan issues a final denial. The court also found that there is no evidence that Plaintiff’s claim is time barred under the pension plan because Defendant attached a version of the Plan that was not the governing contract between the parties. Similarly, any requirement to exhaust is only stated in a version of the Plan that the court found is not controlling so the court could not determine whether Plaintiff failed to exhaust administrative remedies. In Nutrishare, Inc. v. Connecticut Gen. Life Ins. Co., No. 2:15-CV-00351-JAM-AC, 2015 WL 4225513 (E.D. Cal. 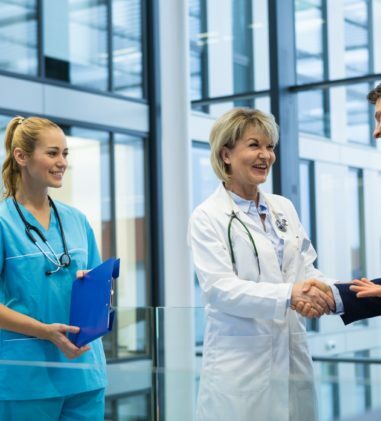 July 10, 2015), Nutrishare, a healthcare provider specializing in Total Parenteral Nutrition services and an out-of-network provider according to CIGNA’s PPO plans, brought suit against CIGNA for payment for services it provided to its members. The court found the state law claims completely preempted by ERISA since each of the claims are based on the allegation that benefits are owed to Plaintiff based on its patients’ healthcare plans provided by CIGNA. With respect to Plaintiff’s § 502(a)(2) claim, the court dismissed this claim because Plaintiff failed to establish that the claim is for the benefit of the ERISA Plan rather than for the benefit of individual plan participants. However, because it is not clear that further amendment would be futile, the court granted the motion to dismiss this claim without prejudice. In Muchicka v. Hartford Life & Acc. Ins. Co., No. CIV.A. 15-434, 2015 WL 4162472 (W.D. Pa. July 9, 2015), Hartford argued that Plaintiff’s suit for LTD benefits is untimely because under the policy terms, Plaintiff has three years after the date of the proof of loss was required to be submitted to Hartford to bring suit and the proof of loss is required to be submitted within 90 days after a denial of benefits. 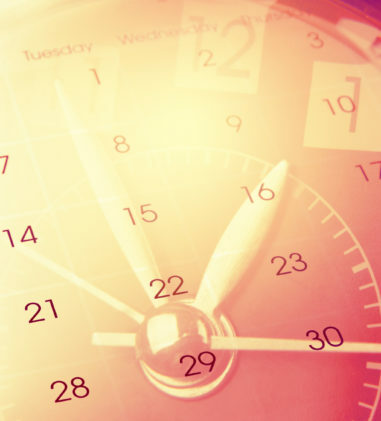 As the argument goes, Plaintiff’s benefits were denied on October 18, 2011, the policy required that written proof of loss be sent within 90 days-or January 16, 2012-and that same date triggers the statute of limitations such that Plaintiff had until January 16, 2015 to initiate this action. Plaintiff initiated this action on March 27, 2015. Plaintiff argued, and the court agreed, that her claim is timely according to the “equitable” provision of the policy that provides that if it is not possible for a claimant to provide proof of loss within 90 days of being denied benefits, she must do so no later than one year after the denial of benefits. Proof of loss is due either (1) 90 days after the denial of benefits, or (2) if this is not possible, no later than one year after the denial of benefits. Plaintiff’s proof of loss was sent via her attorney on April 13, 2012-before a year has passed from her denial of benefits. The court found that it was reasonable that it was not possible for Plaintiff to submit her proof of loss within the 90 days due to the deteriorated state of her health and inability to provide medical records within 90 days, and she was therefore entitled to submit the proof of loss, as soon as possible, within one year of her denial of benefits. Accordingly, the court denied Hartford’s motion to dismiss. In Bd. of Trustees, Nat. Stabilization Agreement of the Sheet Metal Indus. Trust Fund v. 5 Starr Serv. & Constr., LLC, No. 1:15CV403 LMB/MSN, 2015 WL 4139226 (E.D. Va. July 8, 2015), the grant court granted default judgment in the total amount of $40,338,60, consisting of $23,654.29 in delinquent payments; $1,202.45 in accrued interest; $4,730.89 in liquidated damages; $2,379.43 in late fees; $1,470.00 in audit fees; and $6,901.54 in attorney’s and costs to be recovered by plaintiffs. In Bd. of Trustees of The Teamsters Local 631 Sec. Fund For S. Nevada v. Grand Expo (USA), Inc., No. 2:14-CV-02017-MMD, 2015 WL 4113218 (D. Nev. July 8, 2015), the court granted Plaintiffs Trust Funds motion for default judgment against Defendant Grand Expo (USA), Inc. The court ordered Defendant to deliver or make available to the Trust Funds all paper and documentation necessary for their auditing purposes and pay $3,300.50 for attorneys’ fees and costs. In Fanning v. Wellman Dynamics Corp., No. CV 14-1867 (RJL), __F.Supp.3d___, 2015 WL 4090346 (D.D.C. July 6, 2015), the court granted default judgment to Plaintiff and awarded the following based on its agreement with Plaintiff’s damage calculations: $49,816.59 for unpaid contributions due to the Central Pension Fund for the period June 2014 through February 2015, pursuant to 29 U.S.C. § 1132(g)(2)(A); $43,725.44 for liquidated damages, which is 15 percent of the total amount of unpaid or late-paid contributions to the Central Pension Fund, pursuant to 29 U.S.C. § 1132(g)(2)(C)(ii) and the Declaration of Trust, Fanning Decl. Ex. B § 4.5(b); $3,538.71 for interest assessed at a rate of 9 percent per annum on the unpaid or late-paid contributions, pursuant to 29 U.S.C. § 1132(g)(2)(B) and the Declaration of Trust, Fanning Decl. Ex. B § 4.5(c); and $2,733.00 for attorneys’ fees and legal costs, pursuant to 29 U.S.C. § 1132(g)(2)(D).